Updated! 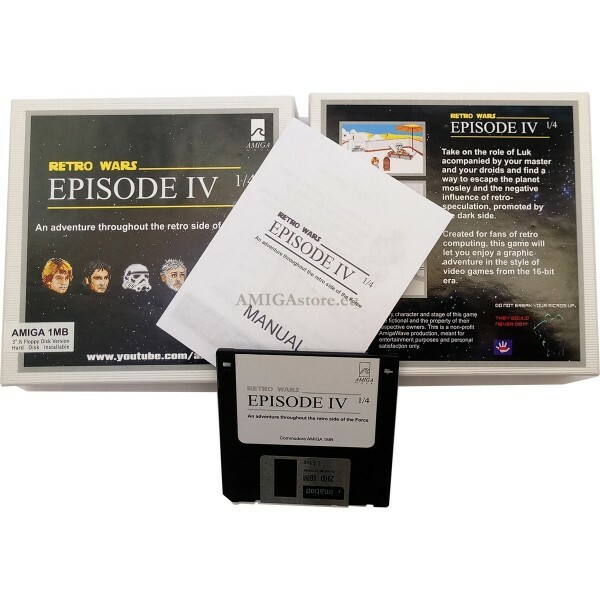 Amiga game for any Amiga computer with 1MB of RAM. 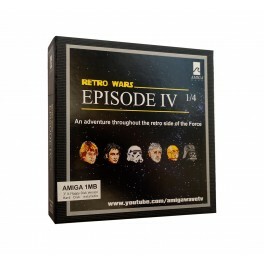 RetroWars IV 1/4 is an AmigaWave a Point and Click graphic adventure exclusive for Amiga computer. 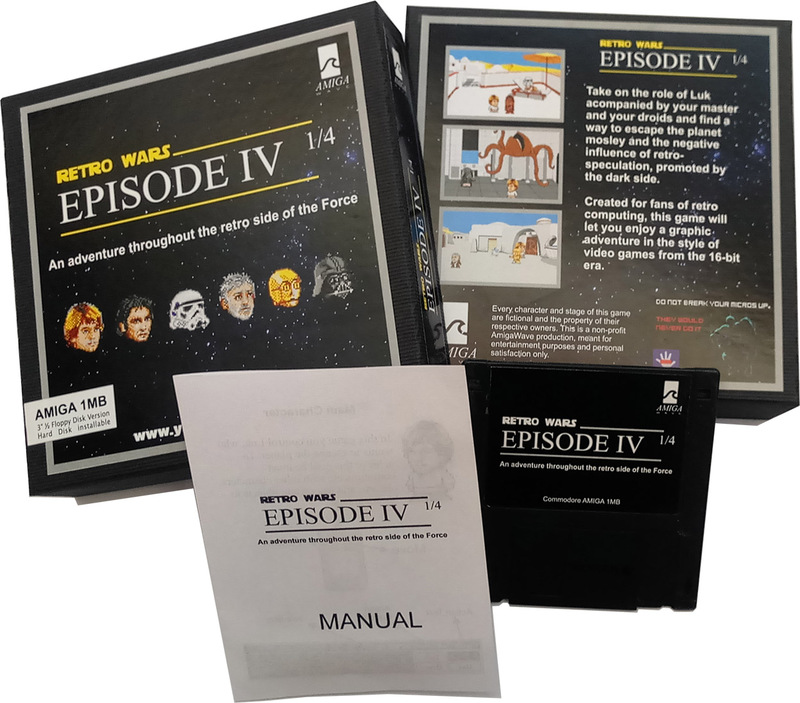 Turn yourself into Luk, followed by your droids and his master, in order to escape from the planet and the negative influence of retro-speculation, promoted by the dark side. 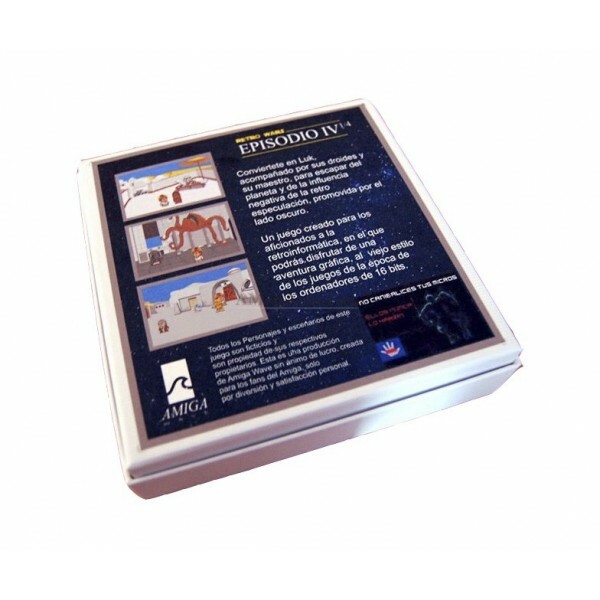 Available in English, German, French, and Spanish language. 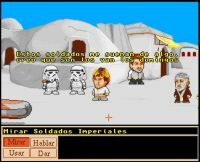 Retro Wars Episodio IV ¼. 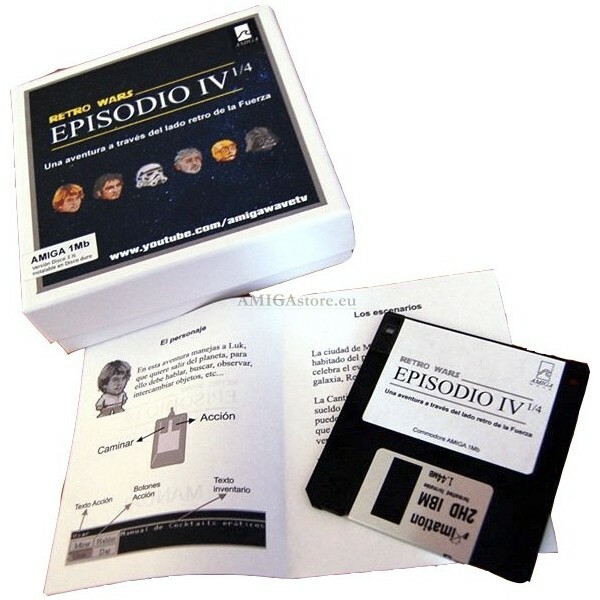 AVAILABLE IN ENGLISH, GERMAN, FRENCH, AND SPANISH. 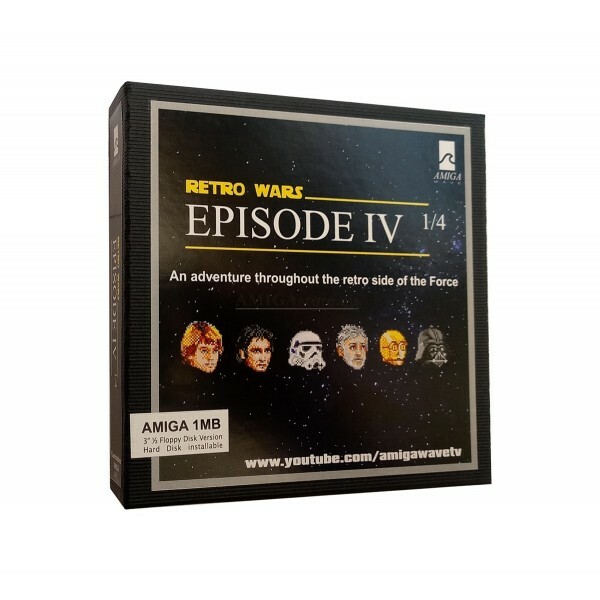 RetroWars IV 1/4 is an AmigaWave a Point and Click graphic adventure exclusive for Amiga computer. 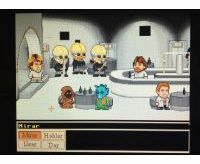 Turn yourself into Luk, followed by your droids and his master, in order to escape from the planet and the negative influence of retro-speculation, promoted by the dark side. 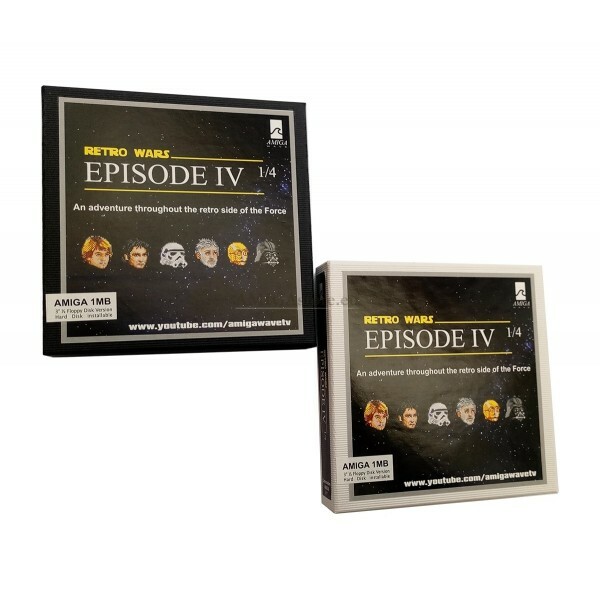 There are two available versions: The 'Dark side edition' Black Box, and the 'Force side edition' White Box. 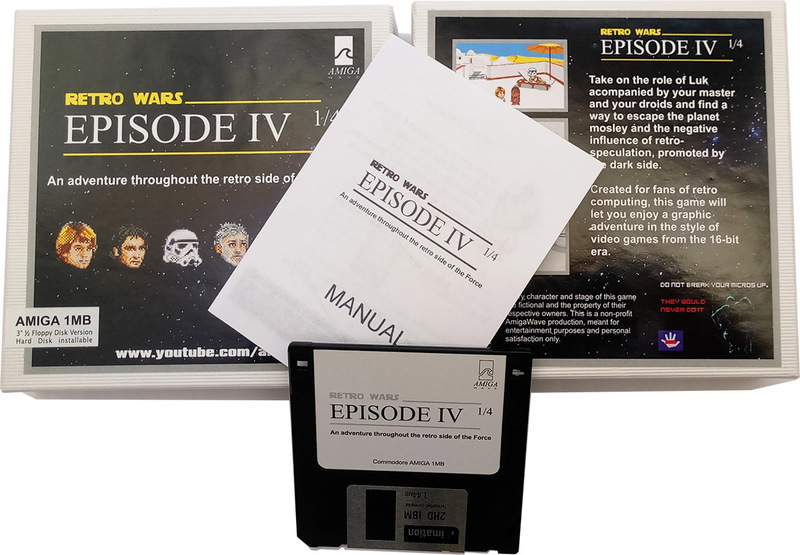 Both versions are identical, except by the by design of the box and the floppy disk label. 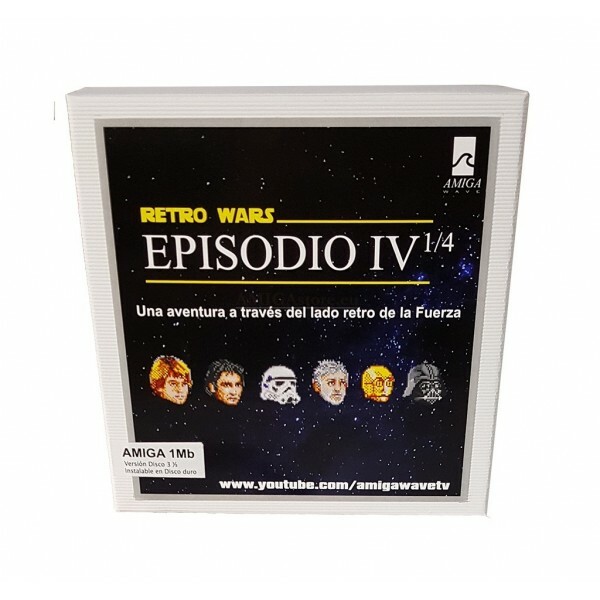 RetroWars IV 1/4: a game created for those fans of retrocomputing and Amiga fans, that will let you enjoy a graphic adventure, in the old style of video games from the age of 16-bit. 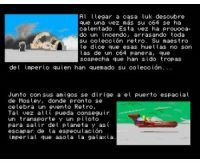 (*) Screenshots from the Spanish version. 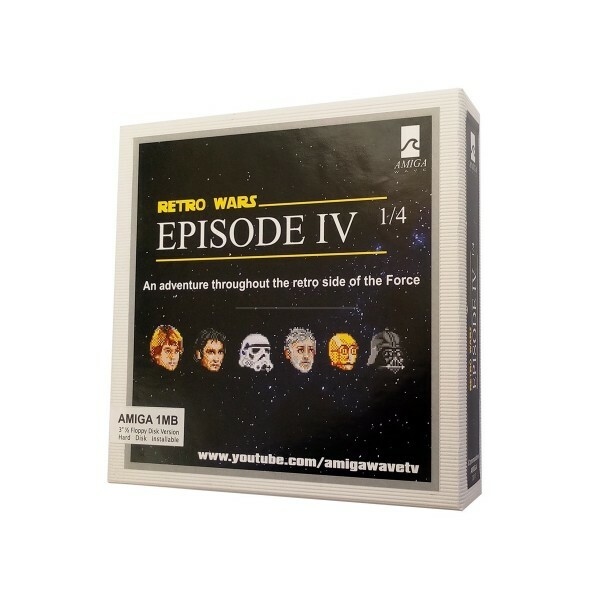 A free download version of 'RetroWars' is available here.